Summer, particularly in the fashion sense, is all about color : Bright and lively hues that match the blooming flowers, green leafed trees and amber sunsets. 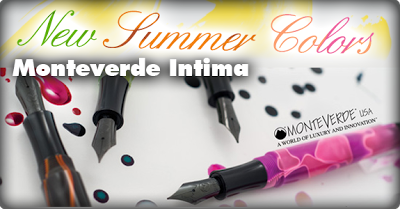 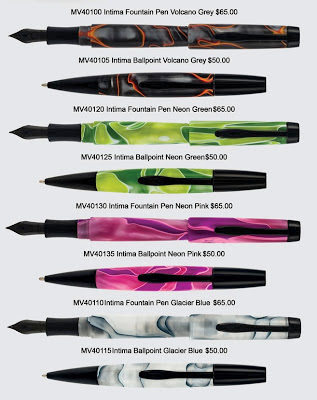 The new Monteverde Intima Pens for 2013 are offered in a set of four beautiful acrylic colors that compliment the summer color palette. 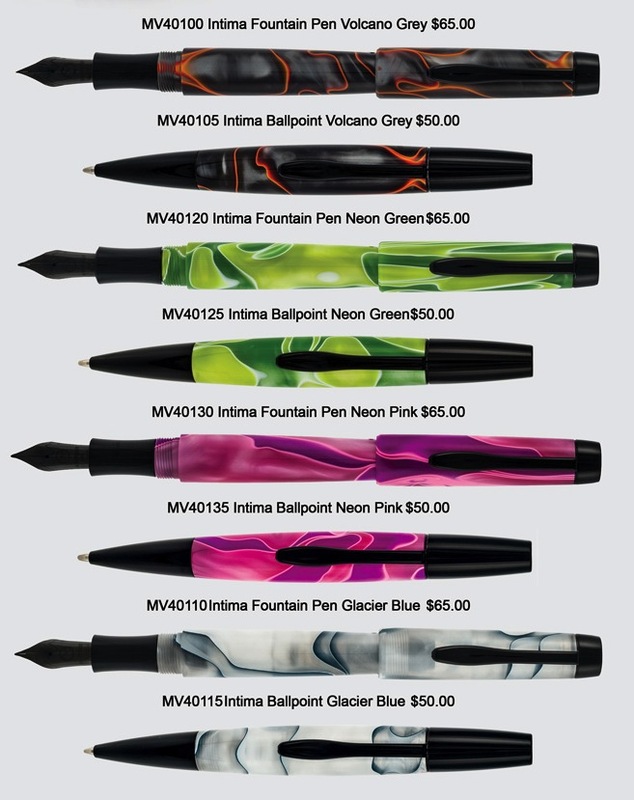 They are now on sale for pre-order on Goldspot with an expected fulfillment of Wednesday, June 19th.